What’s black and white and red all over? Remember this one? Okay, so it’s really what’s black and white and read all over? A newspaper, of course! What’s blue and red and eats rocks? That’s simple. A blue-and-red-rock-eater! Now, what’s pink and green and eats rocks? A pink-and-green-rock-eater, you say. No way, I say, they only come in blue and red! What’s fun, educational, motivating, interactive; and affordable? No riddle here, it’s ZooWhiz! The “online, curriculum based motivational learning system” with more than 17,000 educational activities for children ages 5 to 15. Affordable? Yes! It’s Free, with a limited Keeper Account! Want a Free Keeper Account? Follow the Keeper Account link above, click Create a Free Keeper on the bottom left; and let your child choose a [Zoo] Keeper from a variety of pre-designed avatars. These are all they have to choose from, at the moment, but my kids are hoping they’ll have a little more freedom in the future to design their own avatar Keeper. Once they’ve chosen their Keeper they sign in with their first name, or a code name if they’re anything like my son, and a parent’s email address to get permission to use ZooWhiz. You can then use that same email to create a Free Parent Management Account, which will be connected to your child’s account; giving you the ability to keep up with his progress. 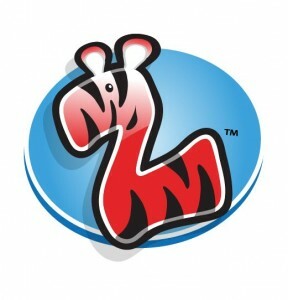 ZooWhiz is lively and engaging, with graphics that are bright, crisp; and bursting with energy! Learn and Earn generates activities that move your child to practice math, reading, grammar, vocabulary, punctuation, spelling; and phonics according to the Age Floor you select for him, and earning coins for every correct answer given. Two chances. Answer the question correctly on the first try and you earn 20 coins. If you miss it and try again you’ll still earn 10 coins with a correct answer. Miss the answer and 10 coins are taken away and the correct answer is supplied. 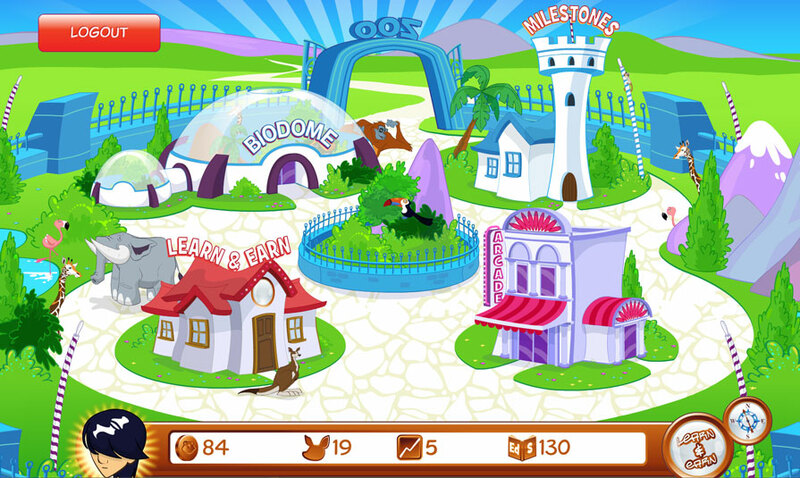 The coins can then be spent in the Arcade, on games, or in the Biodome at the Zoo Animal Shop. Keepers can choose from and collect many different animals, viewing them and learning more about them from a detailed flash-card-type graphic. 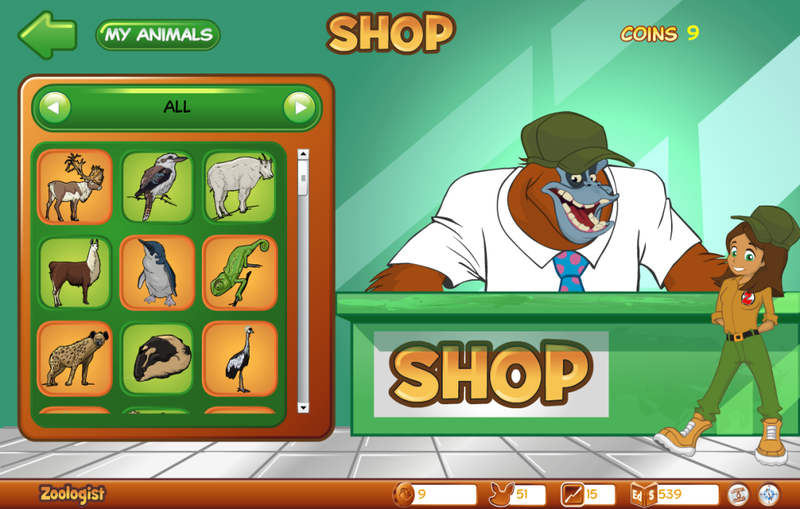 My children choose animal collecting 9 times out of 10, over playing games in the Arcade, and it is the highlight of the ZooWhiz online program! It should be noted though, that the website says, “Create a Free Keeper Account and start building your very own zoo.” This idea is compounded when you select the Biodome tab under Information for Kids, the opening tagline reads, “Enter the Biodome to choose your animals and build your very own zoo.” As Keepers students build collections of animals, but there is no Zoo to build. There is no place to organize or view the animals in a zoo-like setting, and there is no visiting or care giving. My students, ages 8, 11, and 14, were all truly disappointed in this aspect of the program. Milestones keeps track of student progress, and seeing progress is something we all need! ZooWhiz has a website full of information. I included several links to it throughout this post and I hope you’ll make use of them. or if you’re in the United States call – 1.866.215.4620.
or instantly connect on facebook. My Crew mates are eager to share their ZooWhiz experiences with you, too. Disclaimer* I received 1 year access to a ZooWhiz Premium Zoologist Account, for three of my children, in exchange for my honest review as a member of the Schoolhouse Review Crew. I receive no other compensation for my reviews on this blog. The opinions expressed are my own. You might remember that I have an affection for Unit Studies. The Unit Study Method of teaching allows me to incorporate every aspect of my focus topic, covering many subjects. This method usually allows for a lot of hands-on learning, and often improves my child’s ability to transfer skills they learn during school to real-life situations. Where do you get the ideas for activities that will enhance your student’s learning? I might talk to another parent/teacher that has experience or an expressed interest in the theme of our study. I have several home resources, an exceptional local library; and access to an array of online resources. 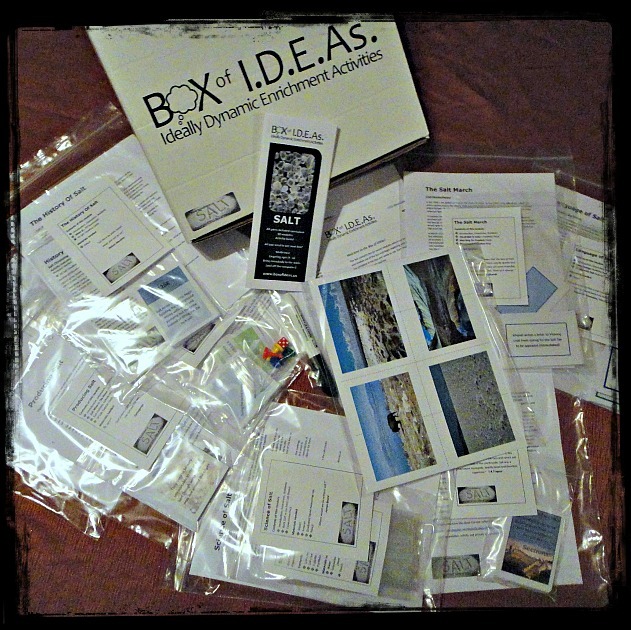 I have a standard bag-of-tricks, but my latest discovery is Box of IDEAs. There are not many boxes available, yet; but the future potential is great! Designed for ages 9 – 16, with the flexibility for use with even younger or older students, each Box of I.D.E.As. is filled with topic-focused activities and information. There are at least 10 modules per box that might include games, puzzles, portfolio pages, experiments and explorations, well researched web-links; and more. All of the activities in the box are complete, but if any additional supplies are needed, like a pencil, they are listed on the module label and can be acquired before the module is even opened. Presently, there is a Box of I.D.E.As. for World War Two, SALT, Laundry, Quilting; and the number Eleven, with Olives, Pine, and Cemeteries coming soon. Supplementing our current study of Early America, the SALT Box of IDEAs fit well into our schedule. 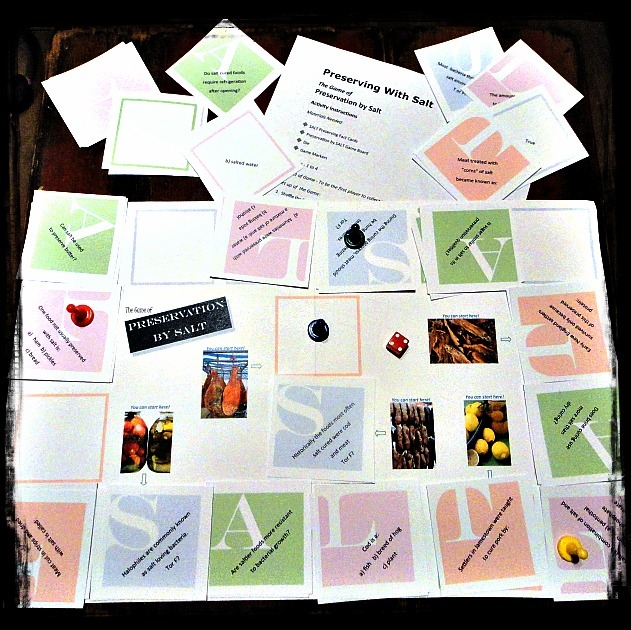 The branch of interest I pursued was early means of food preservation, and there’s a module for that – Preserving with Salt. After introducing the topic into our curriculum, I let the box of modules lead the way. The “SALT Box of I.D.E.As. is a comprehensive look at salt and how it has helped shape history, nourish our bodies; and even build and destroy empires.” We were prompted to dig into History, Geography, Science, Language, and Political Systems; while using math, reading, writing, and critical thinking skills among others. Contents of the SALT Box of I.D.E.As. This is one of the simplest systems I’ve ever used! I could easily assign a module to one of my middle school or high school students for independent work. Just take the module bag out of the box and begin. I gather pencils and make copies of the portfolio page for each of my children participating in the activity. I also have notebook paper available for copywork and expository writing. I read the printed material out loud and we discuss the content. Portfolio pages record lab results, ask fill-in-the-blank questions; and prompt essay writing, etc. Each module includes a list of 3-4 Extensions that encourage delving deeper into the topic. The Extension activities are varied and I tend to choose two out of a list. Find references in The Bible to salt. It is mentioned approximately 30 times, see how many you can find and make a list. Watch the 1982 movie “Ghandi” which chronicles Ghandi’s life and fight for Indian independence. What happens if a person eats too much salt? Set up an appointment with a nutritionist or dietician to talk about salt in your diet. Pick one of the top salt producers and find out how much revenue salt production brings to that country. As time allows, I have the older students follow selected Web-Links for additional reading and oral presentation. I make age appropriate writing assignments to be done after we close the module. 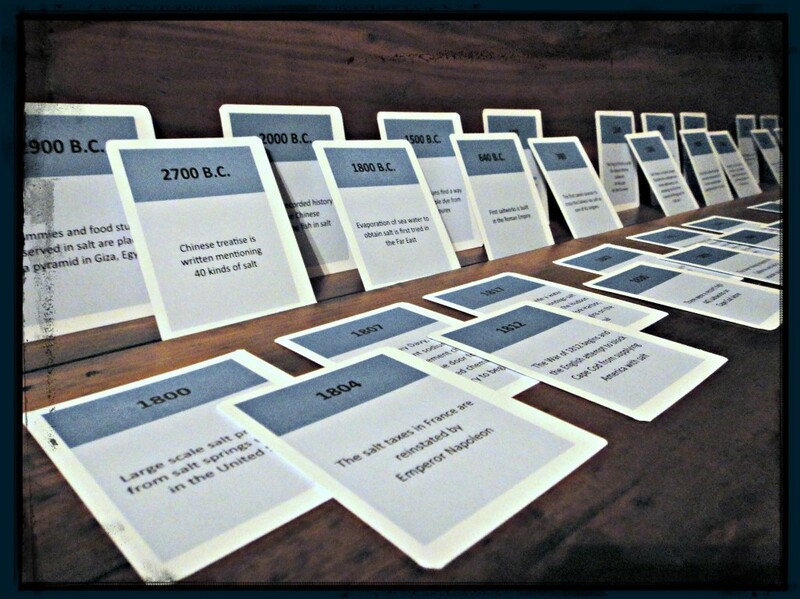 We normally wrap-up with one of the games or card activities included in the Box of IDEAs. Box of I.D.E.As. 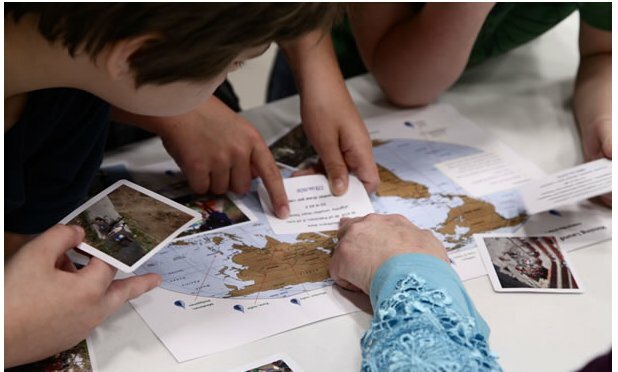 and their complete learning modules are an outstanding benefit to our homeschool, aiding in the retention and recollection of the topic matter covered. I think it is a good value in the combination of physical materials supplied and the time saved with immediate access to the thorough research that’s already been done. A physical Box of I.D.E.As. is $79 and printable PDF format is $49. My Crew mates have written reviews of two of the current boxes that are available from Box of I.D.E.As., SALT and World War Two – Pearl Harbor. Click the banner below to read their well expressed opinions. Disclaimer* I received the physical SALT Box of I.D.E.As., in exchange for my honest review as a member of the Schoolhouse Review Crew. I receive no other compensation for my reviews on this blog. The opinions expressed are my own. I have taught several children how to read, phonetically, and sometimes it has been more trying and less successful than other times. Now, I have a better understanding of the process. 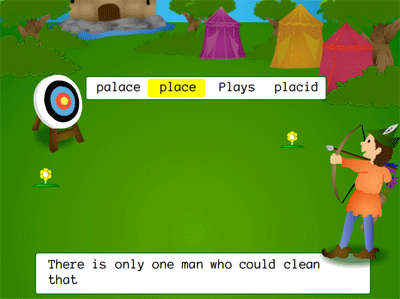 Reading Kingdom, designed for ages 4-10, begins with a skills survey for each child. 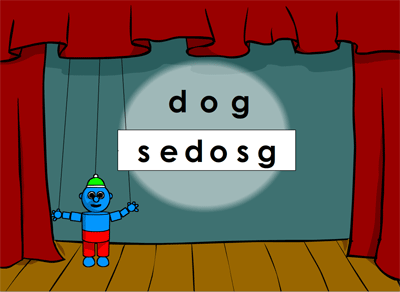 According to the results, they are placed in one of 6 levels: pre-reading or a reading level 1-5, honing their skills with the mouse and keyboard; learning to recognize, read, spell and type words and sentences. 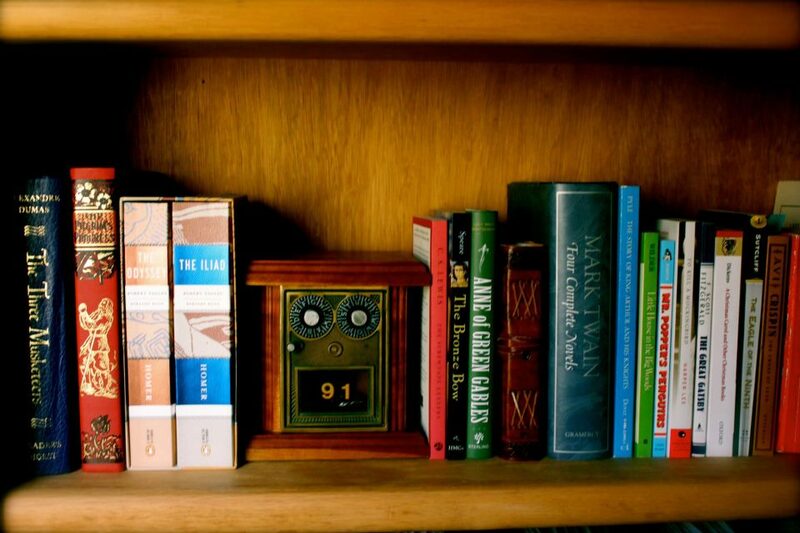 As one progresses through the levels the six skills necessary for reading are strengthened. It is expected that a child will be reading, with confidence and enthusiasm, at a 3rd grade level with the completion of Reading Kingdom. Generally, this will take 12 – 18 months. After the first few weeks, most children can navigate the program on their own. Reading Kingdom allows me to share the responsibility of teaching my child how to read, making it a lighter burden and not nearly as overwhelming. Because it is interactive, it customizes each lesson for my child. Each 15-30 minute session teaches her reading, spelling, punctuation, and writing. I can watch her progress and clearly see her successes, and so can she. Reader reports —what they’re doing, how they’re doing and what is coming up– are available to the parent and track a child’s progress. Reading Kingdom is lively, appealing and inviting! My child wants to play it, but it has not always been gumdrops and lollipops. I’m pleased that it has raised her reading level, but I am also quietly thrilled that it has significantly improved her level of patience! Let me explain. To me, instant gratification is the bane of our culture. Reading Kingdom requires my child to slow down, focus; paying attention to directions and details. She must type when directed to type using the keyboard and click when instructed to click a letter on the screen. The word focus has deeper meaning to her, now. 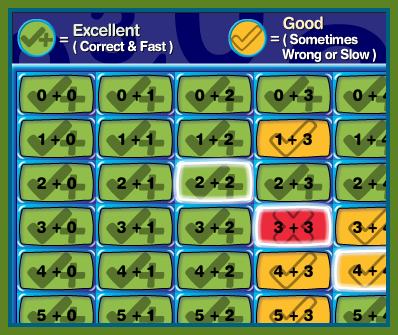 If she concentrates and responds correctly she can progress through the levels, but if she doesn’t know an answer or is just distracted the program will re-teach the word or concept; which can get quite repetitive. I consider these simple but important life lessons. Plus, the positive by-product of the repetition is that it inevitably builds her confidence. Whereas, I appreciate these perks of the program; some parents do not. 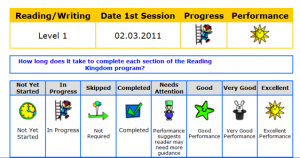 Since I reviewed Reading Kingdom in 2011, one of the changes they’ve made to the program is the ability to adjust the response times for your child. For some, this makes the difference between tears and smiles; or discontinuation and completion. I think the best thing to do is to take advantage of Reading Kingdom‘s offer – FREE for 30 days – and monitor the results for yourself. It’s truly risk free! Reading Kingdom is $19.99/month (one child) with no monthly minimum or $199.99 per year (one child). Each additional child is $9.99 per month. If you take the time to directly compare Reading Kingdom to other reading programs you might find that this one costs a few cents more per day, but you will also find that the benefits of Reading Kingdom, as one of the most complete reading programs available online, far out weighs the extra pennies. Please, follow the links I’ve provided throughout this post; and click the banner below to get a well-rounded view of Reading Kingdom by what my Crew mates have to say about it. Disclaimer* Reading Kingdom gave me a generous, 1-year license in exchange for my honest review, as a member of the Schoolhouse Review Crew. I receive no other compensation for my reviews on this blog. The opinions expressed are my own. I don’t read every book that my older children read, now. When they were younger I did. Still, I am mindful of what they’re reading, what music they’re listening to, what movies they’re watching, and who their friends are. I know their friends by name. I trust my children, at this age, to make wise choices, following the standards we’ve set, in their reading material, music, viewing habits, and relationships. They also keep themselves accountable. I can pick up the current book they’re reading, borrow their MP3 player at any time, go to the movies with them, or sit in on one of their gatherings. There are organizations, and companies that assist me, as a parent, in maintaining the Biblical standards that my husband and I set for our family. They’ve put the time and effort into watching, listening, or reading, and reviewing for me. Many of these are run by other parents, with similar standards, like Progeny Press. 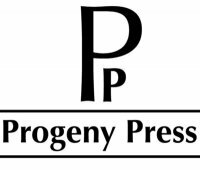 Progeny Press was started in 1992, and is still family owned and operated. They present good literature, teaching good literary analysis, measuring all things in the light of Scripture. There are now more than 100 Study Guides available to instruct writers and readers in grades K – 12. Study Guides can be found for Lower Elementary, Upper Elementary, Middle School, and High School. They can be purchased Book-bound, PDF on CD, or email with attached PDF file. The content is the same, no matter the form of delivery. From $10.99 single guide to $27.99 book/CD set. “Screwtape, an undersecretary in the Lowerarchy of Hell, has undertaken the guidance and tutelage of his nephew Wormwood, who has been assigned a human patient to secure for eternity. 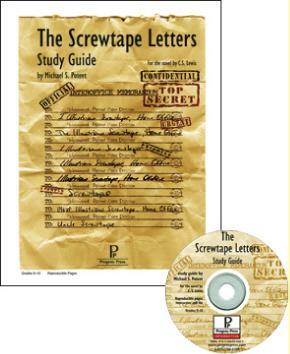 In a series of letters, Screwtape guides the young demon through the finer points of temptation, the weaknesses and foibles of human beings, and the disaster of his patient becoming a Christian. Though this certainly complicates things, the two infernal beings won’t let it stop them. With each Study Guide, students need access to a good dictionary, a thesaurus, a Bible, and the internet or an encyclopedia. It is suggested that the complete novel be read first. We didn’t know how we felt about this, as opposed to reading the book and the guide together from the beginning, but it actually makes the use of the Study Guide a little easier. I imagine the creators of the guides already knew this. After reading the story, the student works through the guide with the book as a constant reference. 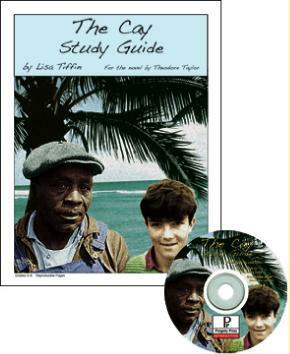 Did I mention that Progeny Press Study Guides for Literature are interactive for 4th – 12th grade? They can still be printed, if you like, but the student has the capability of placing answers directly on the PC and saving his work as he progresses. The parent/teacher is able to grade the work in the same manner, on the PC, and leave notes or comments. My children love it! Especially, my son, who would rather do nearly anything instead of writing. 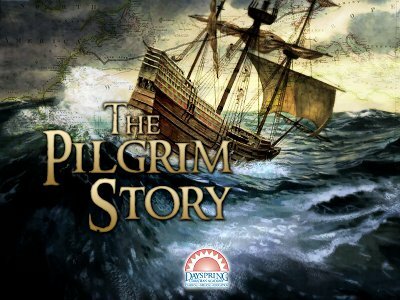 The Study Guides are designed so he can clearly work through the questions and vocabulary, give his attention to critical analysis, dig deeper and consider the issues portrayed in the story, while viewing each through a consistent Biblical standard. In his case, he can give complete answers, because his biggest obstacle is removed – he’s released from hand-writing and has the option to type. Amazing! Final essays are provided and post reading activities are discretionary. High School credits are obtained 1/4 credit per Study Guide in 8 – 12 weeks. Click the graphic below to browse the Progeny Press Catalog. If you would like more information, please, follow the links I’ve provided throughout this post. Progeny Press has a website that’s easy to navigate. Also, read other reviews, from The Old Schoolhouse Homeschool Review Crew members. I have no doubt these will be the first of many Progeny Press Study Guides for Literature we’ll use. Let me know which guide you choose, and what you think of it. A trial period of this product was given to me, free of charge, in exchange, for my honest review, as a member of the TOS Homeschool Crew. I receive no other compensation for my reviews on this blog. The opinions expressed are my own. *Contents of this blog are copyrighted; they are the property of Knee Deep In Grace and may not be used without written permission. Wow, so much has changed since I began teaching my children at home, back in the dark ages, or so it seems some days. When we began homeschooling there were few companies that wrote or published curriculum geared toward the unique needs of educating at home. Now, not only are there several companies on board and promoting materials for homeschool use, but there are also online programs being created for this vast community. It’s a new day for home education! K5 Learning is an outstanding, online reading and math enrichment program! Geared for Kindergarten through Grade 5, it is a student paced, individualized learning program, based on skill level, not grade level. Even in light of other online programs we have used, my children agreed that K5 Learning is consistently challenging, but not frustratingly impossible. I like it because it has repeated spoken instructions allowing even young students to work independently. There are 1,500 reading tutorials with more than 3,000 activities, and over 1,200 math lessons and activities. These are not random. They are sequenced lessons that prompt continued mastery of the subject. Each session is a 5-10 minute tutorial, then practice, and quiz over new material. 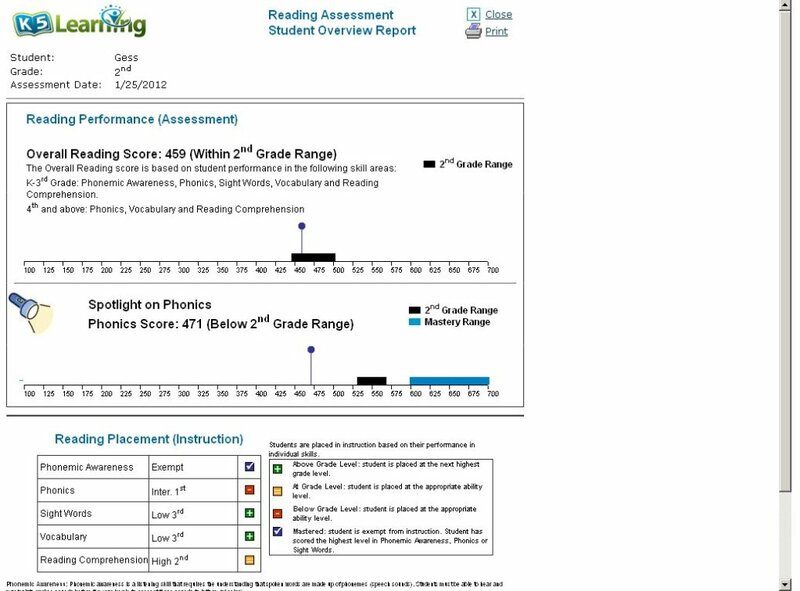 Additionally, K5 Learning keeps parent’s up-to-date with regular student progress reports. K5 offers a 14-day FREE TRIAL that includes a reading assessment and a math assessment. Click assessment graphic above for more information. My crew mates have shared their opinions and you’ll find them by clicking the graphic below and following the link. I’m excited about the new options for home educators and I think you will be, too! Please, follow the links I’ve provided and browse the K5 Learning website. Let me know what you think. I think I’ve told you, a couple of times, how much I love to read. I’ve shared with you my love of language, wanting to learn Spanish and Latin. I’ve always enjoyed writing, even diagramming sentences. I like the rhythm of words. The cadence of their syllables. I think spelling bees are wonderful! We’ve done vocabulary lists and spelling words for the week. Using rote and repetition. And, it’s a good thing I like words as much as I do, because we’ve been playing word games, like Scrabble and Boggle, for 30 years! Educational fun and reinforcement, you know. Yet, spellings escape them. Last year, as a TOS Homeschool Review Crew Member, I reviewed what-is-now my favorite Reading Tool. See-N-Read was my introduction to CadenaSmith Enterprises, and it is “a truly effective intervention for reading.” This year, See-N-Spell arrived at my house, with much anticipation! It is a 40 page Spelling and Vocabulary Quick Reference Guide. 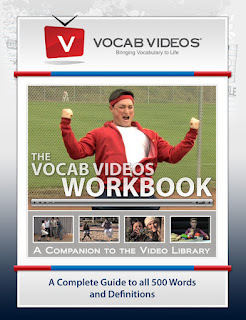 In alphabetical order, you’ll find more than 300 most commonly used vocabulary words and commonly misspelled words. Basically, if you know the first letter or couple of letters in a word, you can find it here, correctly spelled. Homophones (here – hear, there – their) are listed too (to – two), with a brief definition, so it’s easy to choose the correct one. Although, it is printed on heavy duty, semi-gloss paper, for repeated use, it is not a heavy, 2 inch thick, hard bound book. It’s an unassuming, easy-to-use booklet, that prompts my children to use it regularly. Dr. Sylvia Smith, the author, thought to include a section where you can write your own special interest words, words you might use fairly often, but waffle on when it comes time to spell. Guaranteed, or is it gauranteed? Sometimes, after we study it for several seconds it becomes even more muddled. Easier just to look it up in the See-N-Spell and move on in your creative or constructive writing. It’s our new go-to spelling guide! At $9.99 I think it’s a worthwhile investment, plus, I nearly forgot to tell you, you receive my favorite, document sized See-N-Read Reading Tool FREE, with each See-N-Spell booklet you order! Please, follow the links I’ve included in this post and visit their website for more information. As always, my wonderful Crew mates have written their own reviews of this product. If you click on the graphic below you’ll find them on The Old Schoolhouse Homeschool Crew Blog. At this point, my brain is charging ahead with plans for today and tomorrow, and beyond. I know my older ones read The Great Depression, America 1929-1941, by Robert S. McElvaine, but the mids haven’t, yet. Books, movies, the internet. The library, Netflix, museums. I use them all. Anything and everything that I can get my hands on and afford, that will stimulate my children’s desire to learn and successfully educate them. Zeezok Publishing has been providing materials for the homeschooling community since 1993. They’ve published government and history texts, and sixteen classic biographies on the great composers. In 2010 they introduced us to Z-Guides to the Movies. Each Z-Guide is developed for a specific movie. We’ve found many of the movies at our local library; most are available for rent on Netflix, Zeezok sells a few and some you may already own. There are more than 30 Z-Guides available, now, and another 25 are due to be released in the spring. You’ll get a topic, time-period overview; a movie synopsis, giving you an understanding of the relationship between characters, events and situations. A list of review questions to be discussed and answered as the movie is being watched, and additional activities prompting research and writing. My favorite section of every Z-Guide is the Filmaker’s Art and Dramatic License Activity. I do not have the ready knowledge that I find in this section. Even as my children are learning, so am I. My children are enhancing their critical thinking skills. Besides movies, they now look at reading material differently, and also examine the influence and impact they may have on others with what they personally write or visually and musically produce. I think Z-Guides are impressively thorough. In 2011, I used one with The Hiding Place. Click the link to read my review. 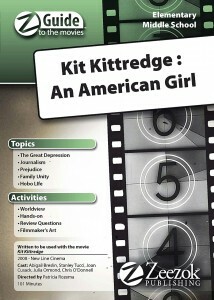 Recently, we did, indeed, use the Z-Guide for Kit Kittredge. Written for elementary and middle school, it was easily adaptable to include our K5 through high school and adult. It was a perfect wrap to an interesting study! The Old Schoolhouse Homeschool Review Crew has had the opportunity to review several different Z-Guides. Click on the banner below to read what my crew mates thought of each one. 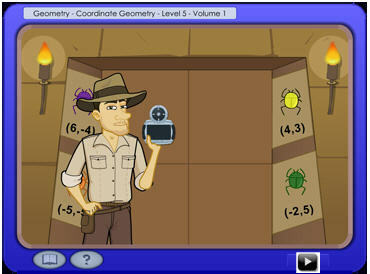 The next time you study, tie everything together with a Z-Guide and a family movie night! I am not affiliated with Netflix and I receive no compensation for references.